DIY Halloween decorations in Hong Kong with kids! Decorating our house in Hong Kong for Halloween is something my daughter and I love to do together. We enjoy making decorations as well as buying a few new ones each year. We definitely stick to fun DIY’s that are quick and easy to make. 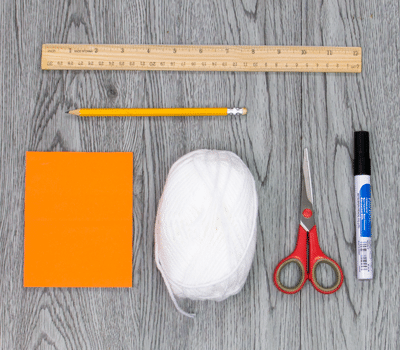 And as a bonus, you probably have all of these supplies on hand at home already. 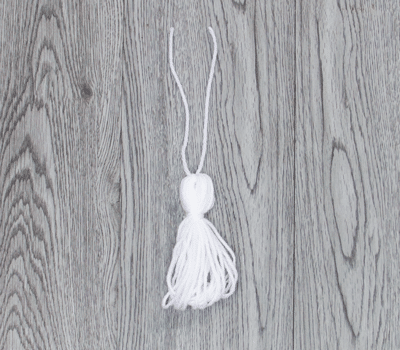 If you’re missing some items, you can check out your local Jusco Living Plaza which was where I picked up my white wool from at $12 a bundle … what a bargain! Check the list above and make sure you have all the materials. Then prepare a work area for you and your child. Slip it carefully under the wrapped wool. Tie a double knot in the middle of the wool. Each knot needs to be very tight so you’ll have to help your kiddo here. 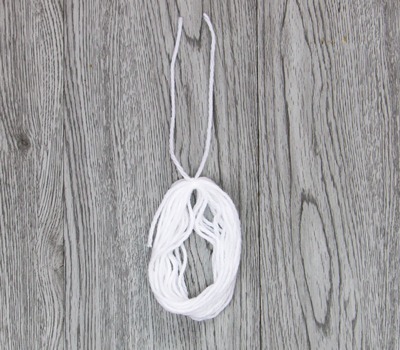 Put down your wool so that the loose string is at the top of the oval shape of wool. Cut another piece of wool! This time, 20cm long to make the head of our ghost. 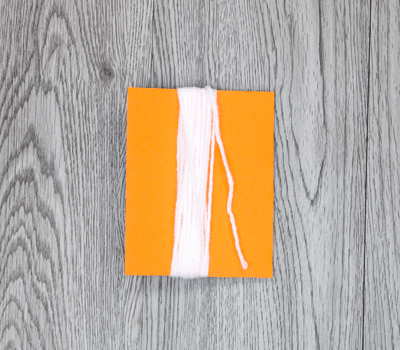 Tie a tight, double knot around the top 1/4 of the wool. Now our wool is starting to take shape into a ghost, we have the head! Using the tail of this piece, wrap it around a few times to create the neck. 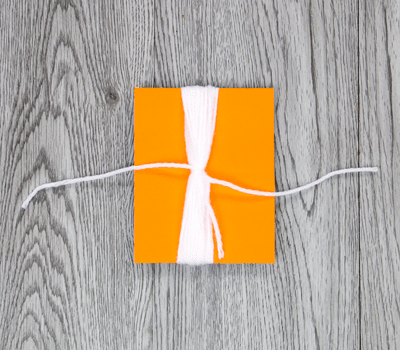 Tie it in a double knot and trim any loose ends. 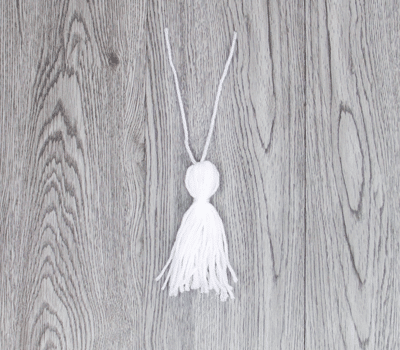 Now simply cut through all the loops to create a tassel effect. The DIY Halloween decorations are starting to come together! Step 7: Add a face and you are done! On the opposite of your ‘neck’ knot, draw on two eyes and a mouth using a permanent marker. Boo!! Aren’t they just the cutest! 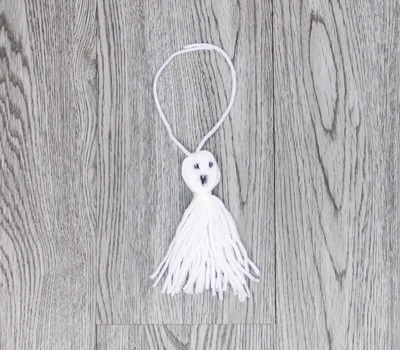 Use the strings on top to hang your ghost around the house! Thanks again to our friends as Sassymama for asking us to make more fun DIY Halloween decorations. Here is a link to view on Sassymama. 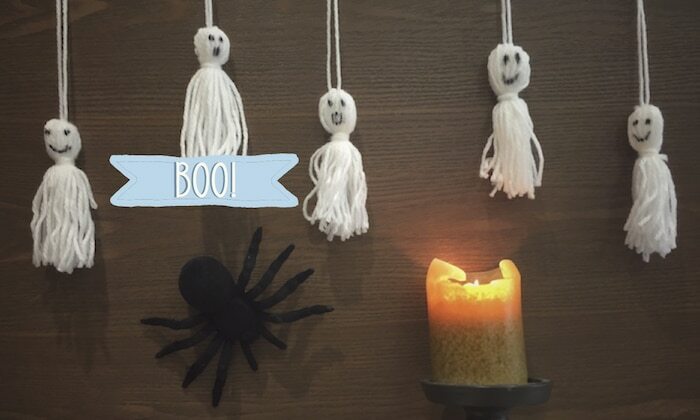 Looking for more fun DIY Halloween decorations and crafts for kids? Check out our DIY earbud skeleton! Have a safe Halloween in Hong Kong!